Nandina domestica, Berberidaceae sacred bamboo, nanten. 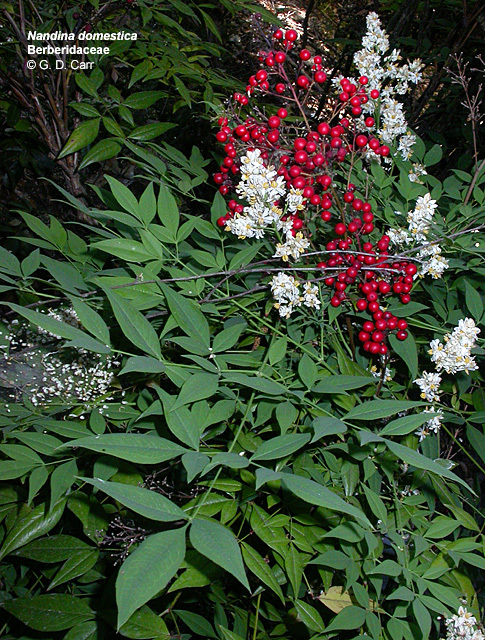 Shrub, native to China and Japan, wood very hard, sacred to Chinese. Location: On Spalding side of Hamilton Snack Bar. Neoregelia compacta, Bromeliaceae, blushing bromeliad. Compact, erect herb to about 1 foot tall. Location: Krauss Pond. 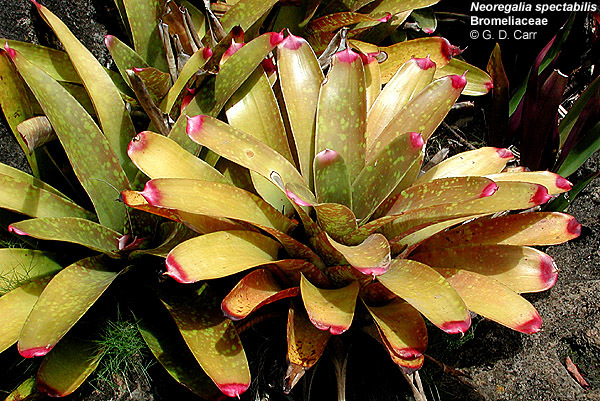 Neoregelia spectabilis, Bromeliaceae, fingernail plant. 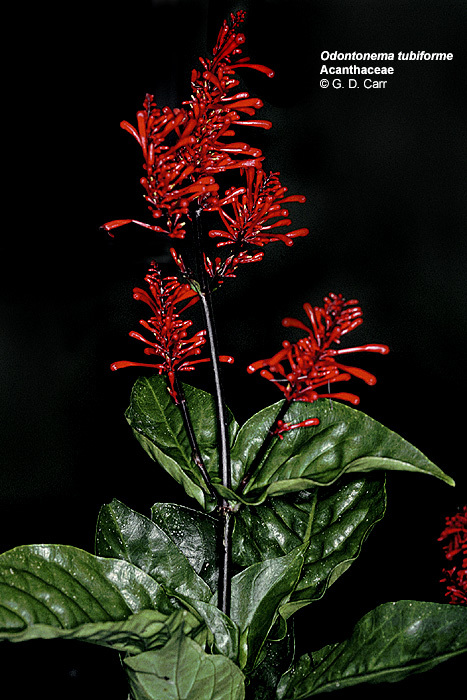 Erect herb from Brazil with red-tipped leaves about one foot long and one and a half inches wide. Flowers blue. Location: Krauss Pond. 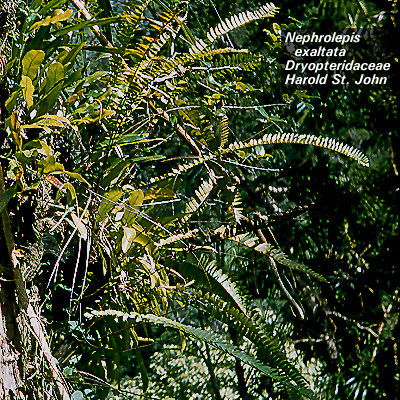 Nephrolepis exaltata, Aspleniaceae, sword fern, kupukupu. Fern native to Hawaii and widespread in the tropics with erect tufts of stiff, once pinnate fronds 2-5 feet long and 3-6 inches broad on a short vertical stem. 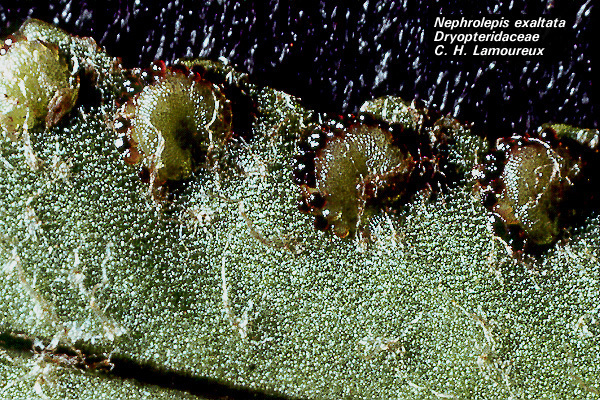 The spore bearing cases (sporangia) are in circular clusters (sori) distributed in a row near each edge of the underside of leaflets. Location: St. John courtyard. 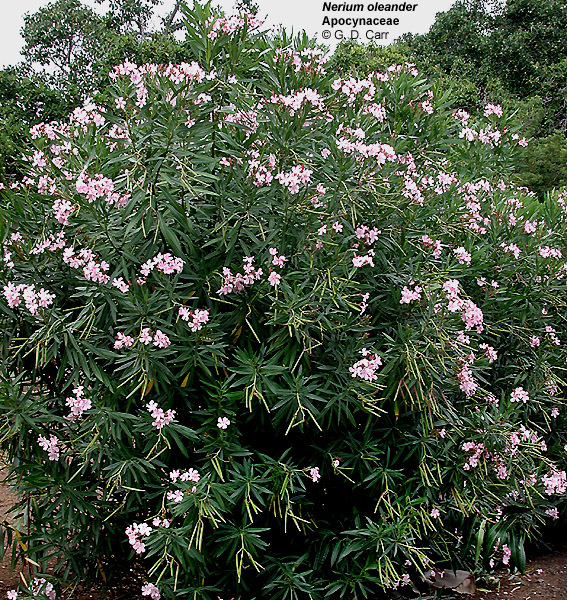 Nerium oleander, Apocynaceae, oleander. 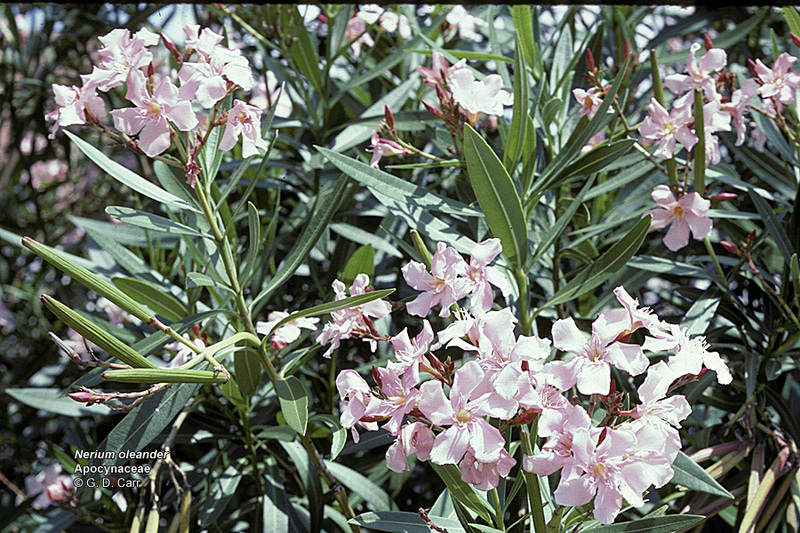 Tall shrub from Persia to India, the leaves in whorls of three, the flowers white, pink, or red. A common hedge plant of medicinal value when used judiciously. 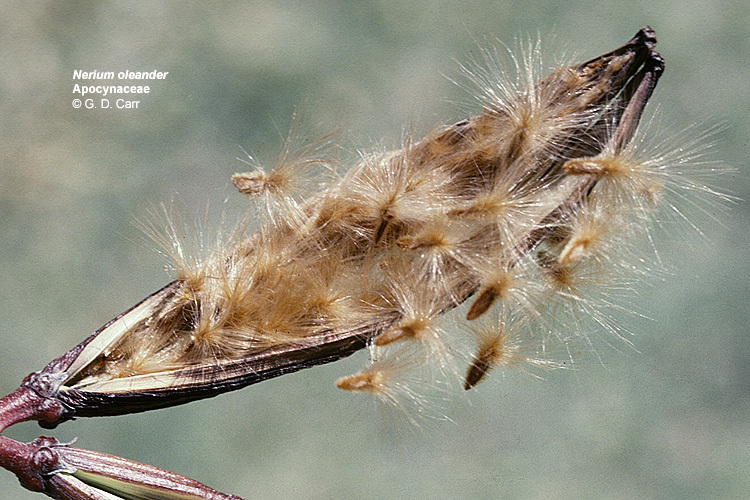 However, the plant contains the potentially fatal cardiac glycosides neriin and oleandrin. People have become ill or have died from using the branches to skewer hot dogs for roasting over an open fire. Location: Large hedge makai of Sinclair Library; Makai of Kuykendall; Makai of Miller. 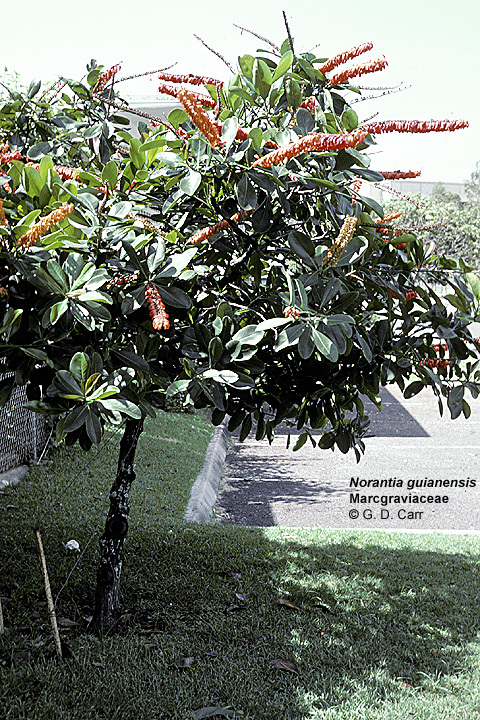 Norantea guianensis, Marcgraviaceae, norantea. 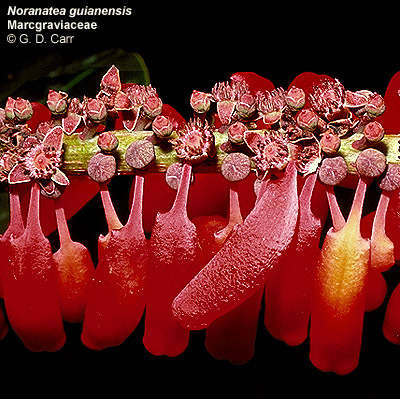 Shrub from South America with bright orange to deep red "nectar pouches" near the flowers. 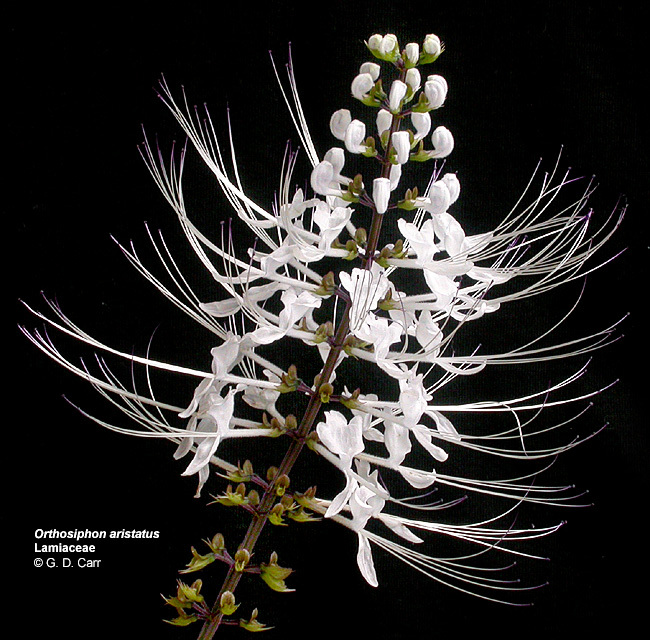 In its native habitat the plant is visited and pollinated by birds foraging for nectar. 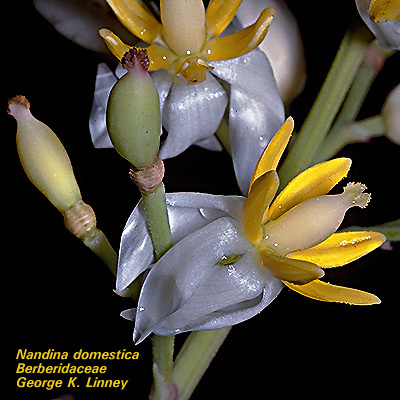 Location: near mauka-Diamond Head corner of Bachman; Diamond Head side of E-W Rd., mauka of Biomed Sci. Bldg. 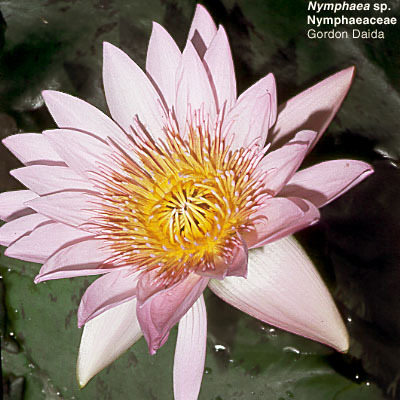 Nymphaea spp., Nymphaeaceae, water lily. 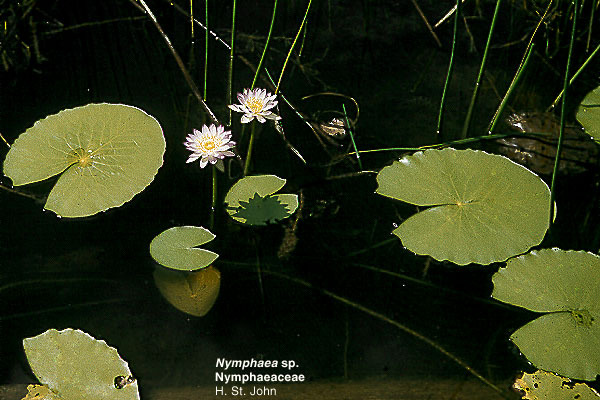 Aquatic herbs from Africa and Asia with leaves and flowers that float on the surface of water and rootstocks or tubers rooted in the mud. The tubers (and seeds) of several kinds of water lilies (e.g. 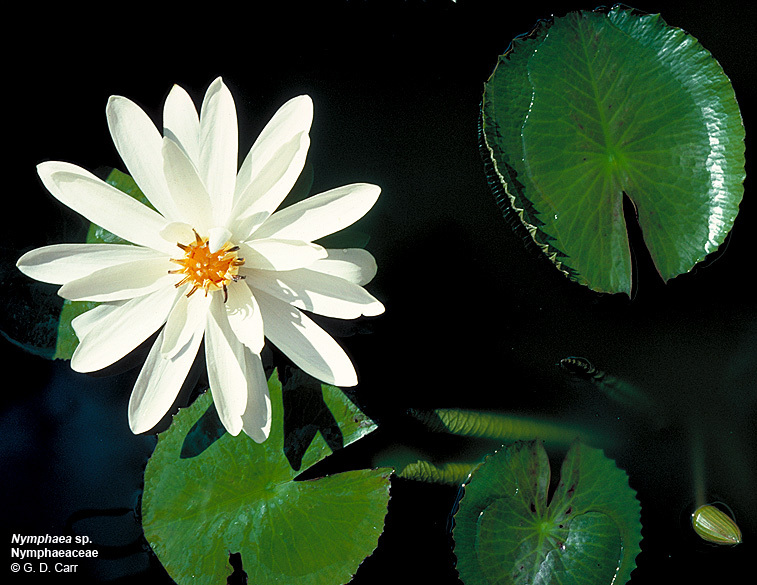 lotus) are eaten in some countries for the large amount of starch they contain; some are used medicinally. Location: Krauss Hall pond. 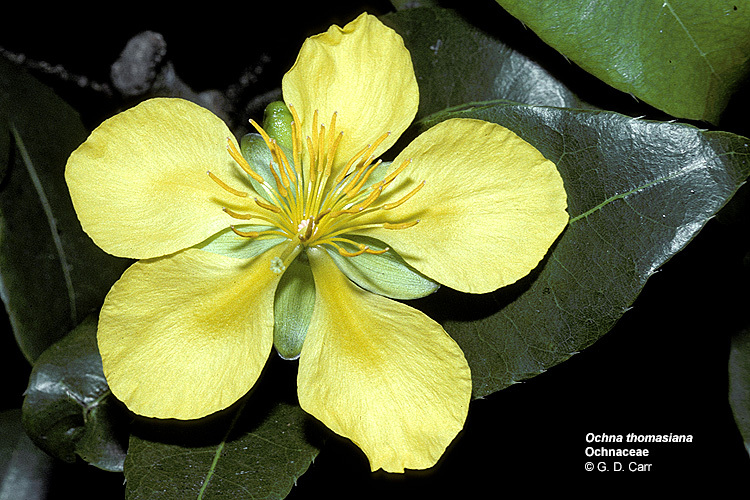 Ochna thomasiana, Ochnaceae, Mickey Mouse bush, bird's eye bush. 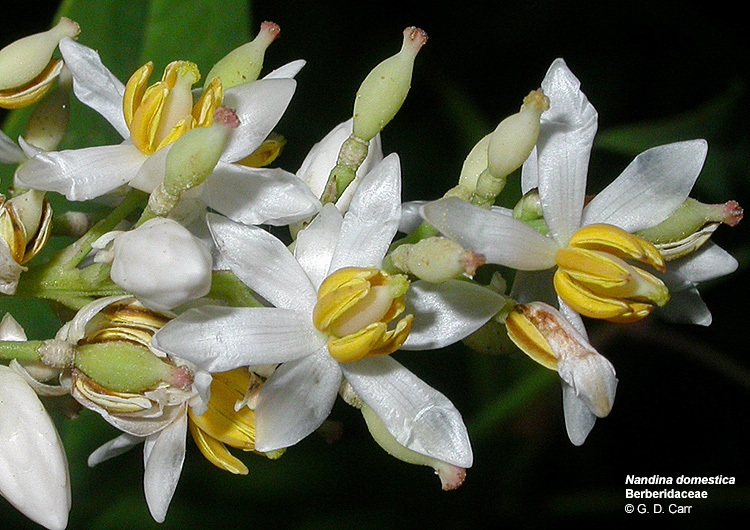 Shrub from tropical Africa with sharp-tipped oval leaves to 4 inches long. 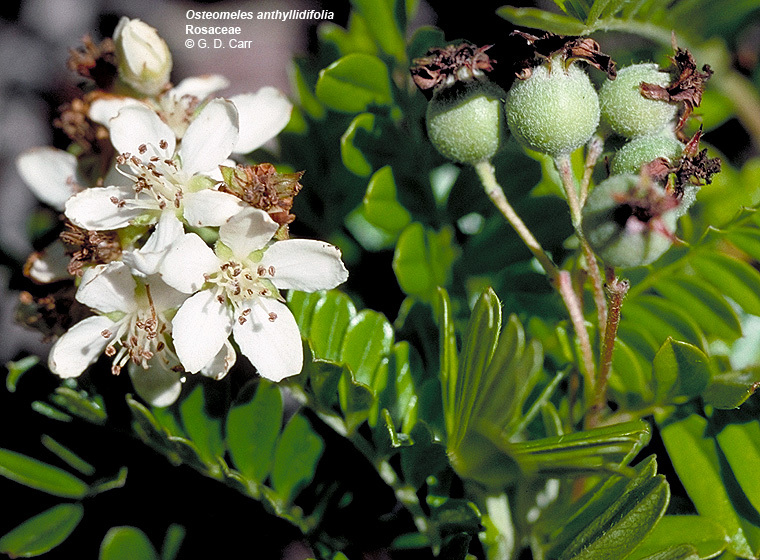 The flowers have yellow petals about 3/4 inch long and bright red-purple sepals that enlarge in fruit. For those with imagination, the profile of certain fruits call to mind Mickey Mouse. Location: Between Sherman and Pope Greenhouses. 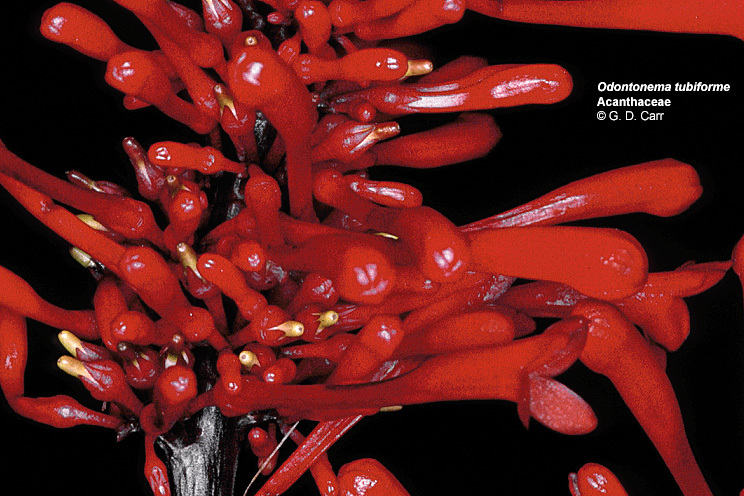 Odontonema tubiforme, Acanthaceae, odontonema. 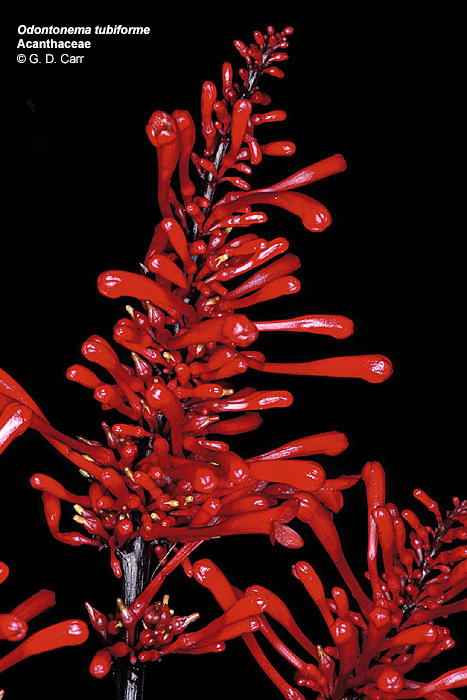 Smooth shrub from Central America, grown for its bright red flowers. Location: Makai of Bachman Hall; Diamond Head side of Univ. H.S. Bldg. 2. Olea europaea, Oleaceae, olive. 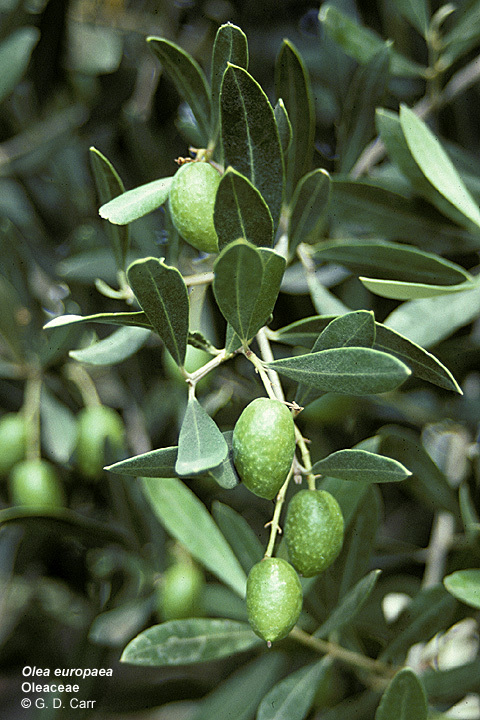 Small tree from the Mediterranean, the leaves with silvery undersides; cultivated for more than 4000 years for the fruits and the valuable oil they contain. 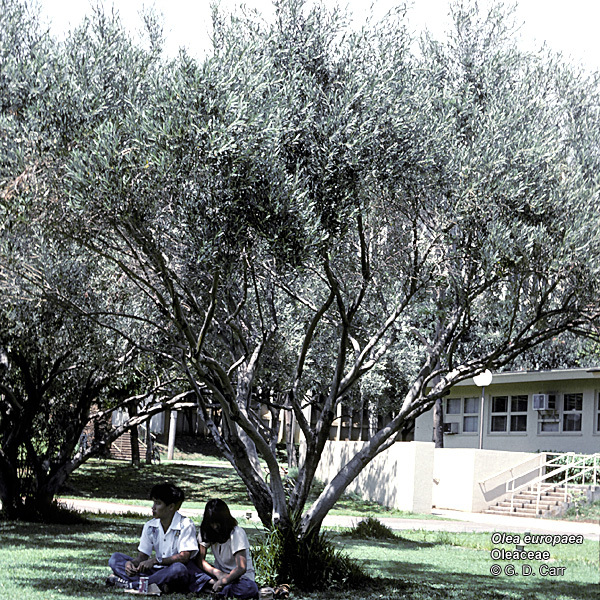 The olive branch is the ancient emblem for peace; the wood is hard and durable. Location: Diamond Head of entrance to Hamilton Library; makai courtyard of Biomed. 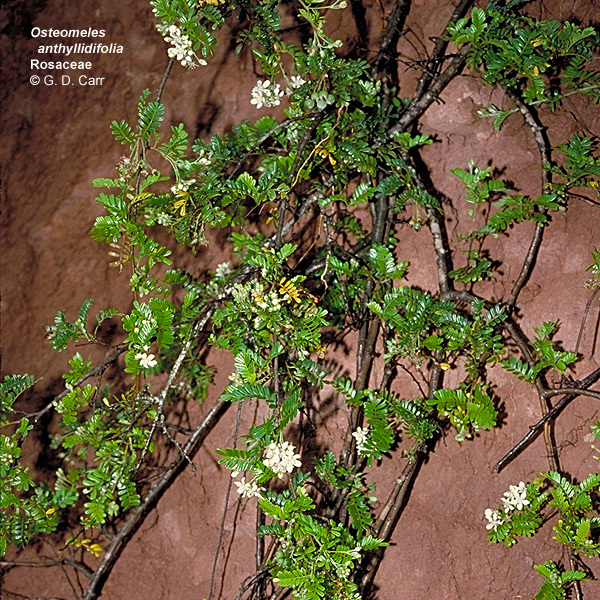 Oncoba spinosa, Flacourtiaceae, oncoba. 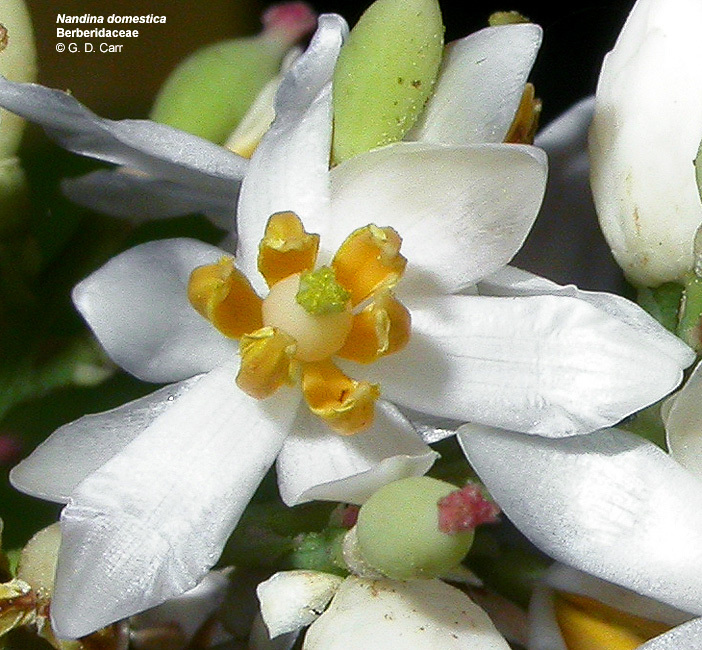 Spiny shrub or small tree from tropical Africa with white camellia-like flowers about two inches across. Roots and leaves used medicinally, the hollowed out fruits are used for snuff boxes. 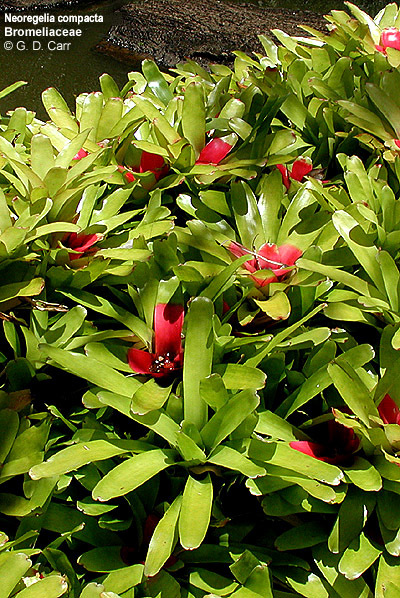 The fruit pulp is edible but sour, reminiscent of pomegranate. Location: Makai-Ewa corner of Pope Greenhouses, near Sherman Hall. Ophiopogon japonicus, Liliaceae, mondo grass, lily turf. Grasslike evergreen herb from E. Asia, used as ground cover, rarely flowers. Leaves commonly to 12 inches long; a dwarf variety has leaves only about 3 inches long and makes an excellent sod that excludes weeds. Location: EWC Japanese garden. 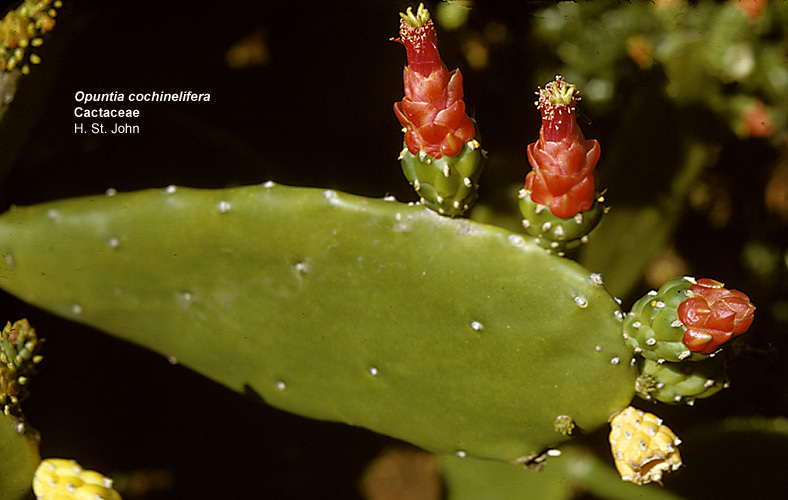 Opuntia cochenillifera, Cactaceae, cochineal cactus. Succulent shrub or tree from southern Mexico grown ornamentally in Hawaii. 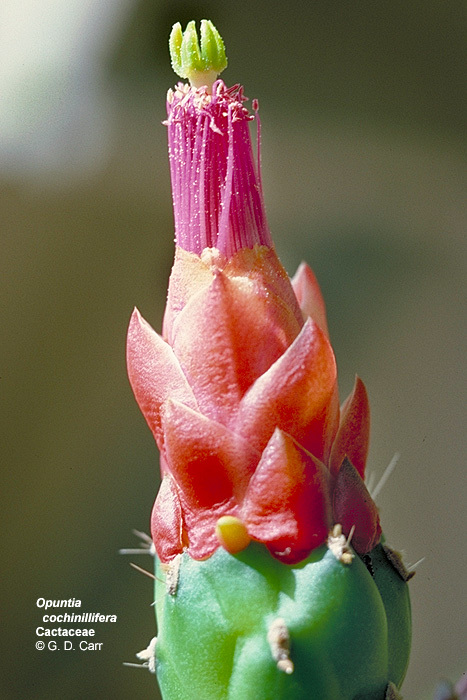 Formerly widely cultivated as a host for cochineal insects that furnish cochineal dye. 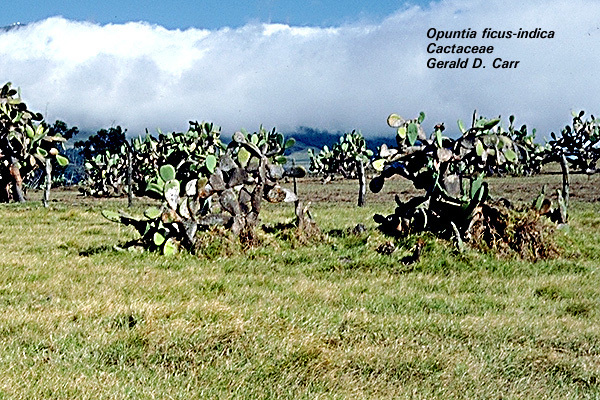 Fruits of the related prickly pear, or pa-nini, a succulent tree from Mexico (Opuntia ficus-indica - 3rd Photo), were eaten raw by the Hawaiians or were used to make a fermented drink. Location: St. John courtyard. 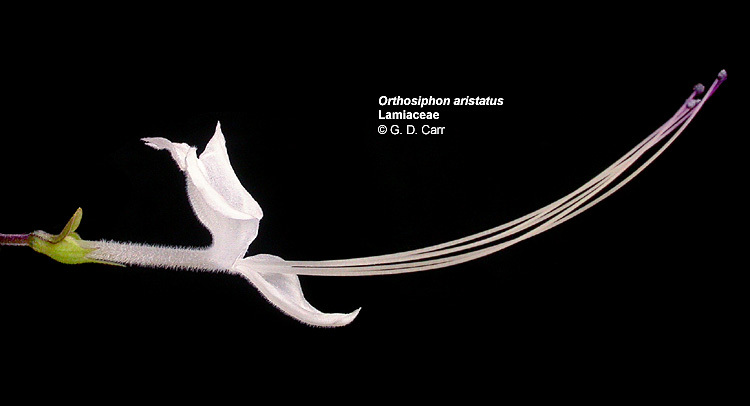 Orthosiphon aristatus, Lamiaceae, cat's whiskers. 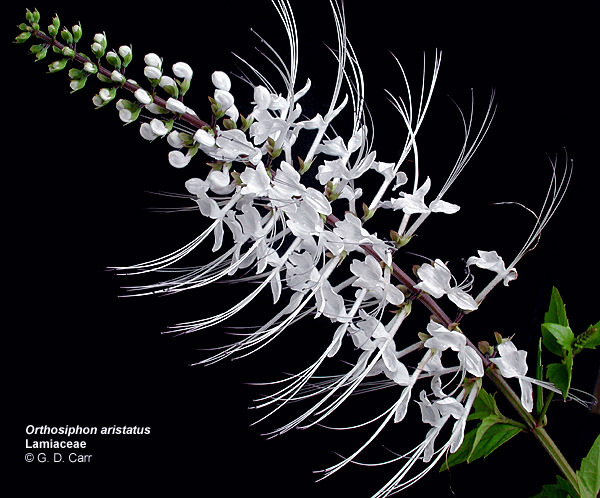 Ornamental shrub from India to Australia; leaves used to treat diabetes in China. Location: St. John courtyard. 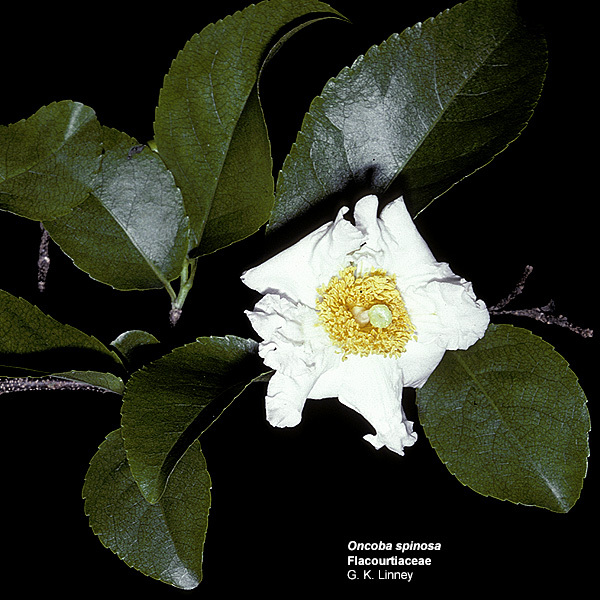 Osteomeles anthyllidifolia, Rosaceae, 'ulei. 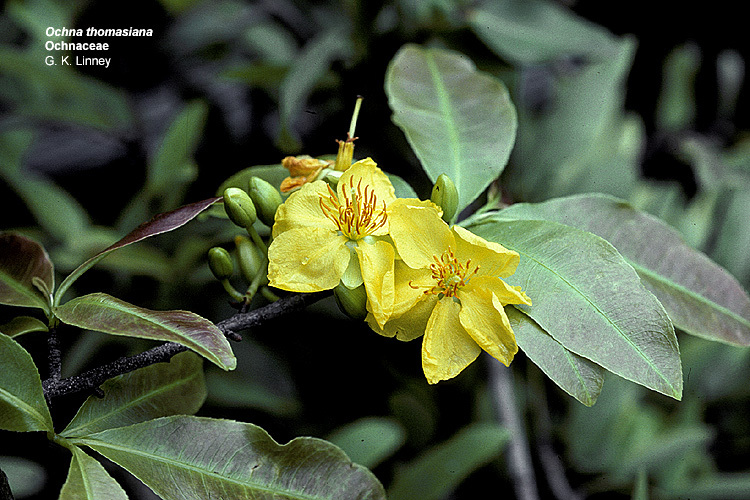 Prostrate, often trailing shrub with small leaflets, indigenous to Hawaii. 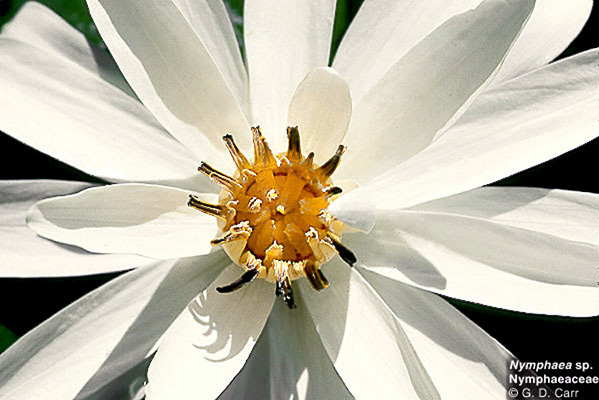 Flowers white, in conspicuous clusters, developing small, white, bony-centered, apple-like fruits nearly half an inch in diameter. The wood was used by the Hawaiians to make spears for fishing and to make the 'ukeke, a musical instrument. Location: St. John courtyard.